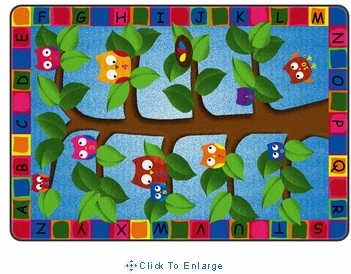 Children will have have a fun way to learn letters and numbers with this colorful Alphabet Owls Kids Education Area Rug by Flagship Carpets! 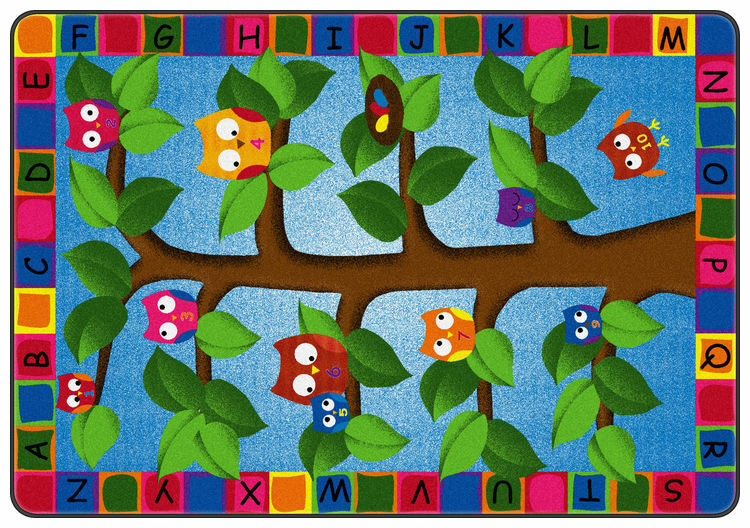 Owls perched atop tree limbs features numbers 1-10 while the border is complete with letters the of the alphabet. Whooo can resist these adorable creatures! Add Flagship Carpets Firm Lock�: Secures rugs and mats to all floors. Shipping: This item will ship from Ellijay, GA via UPS ( large items are shipped via truck) within 10 business days, depending on where you ship to, please add another 2-6 business days for delivery . If you need express shipping service, please contact us for a shipping quote. 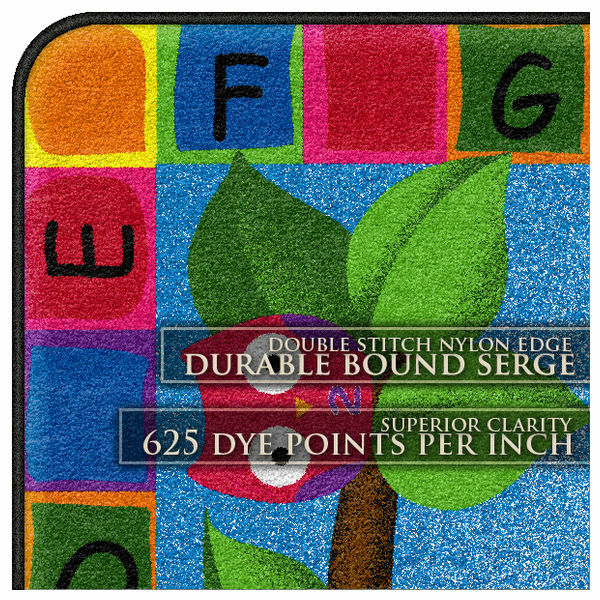 Flagship Carpets rugs come with a limited life-wear warranty and a three-month warranty on serging, some of the best guarantees in the industry.